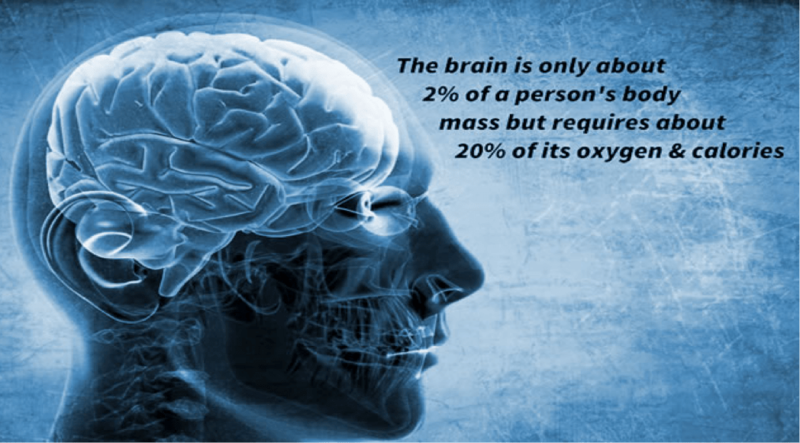 Oxygen is the most vital element and nutrient for health, energy, and life. Oxygen makes life possible. We can survive months without food, weeks without water but only 7 minutes without oxygen. However, few of us give much thought to its roles and may be surprised at some sources. Oxygen is a major component of our greater environment. The earth’s atmosphere, our oceans, lakes, rivers, and the earth’s crust all contain significant oxygen, largely the result of green plants and water borne algaes. 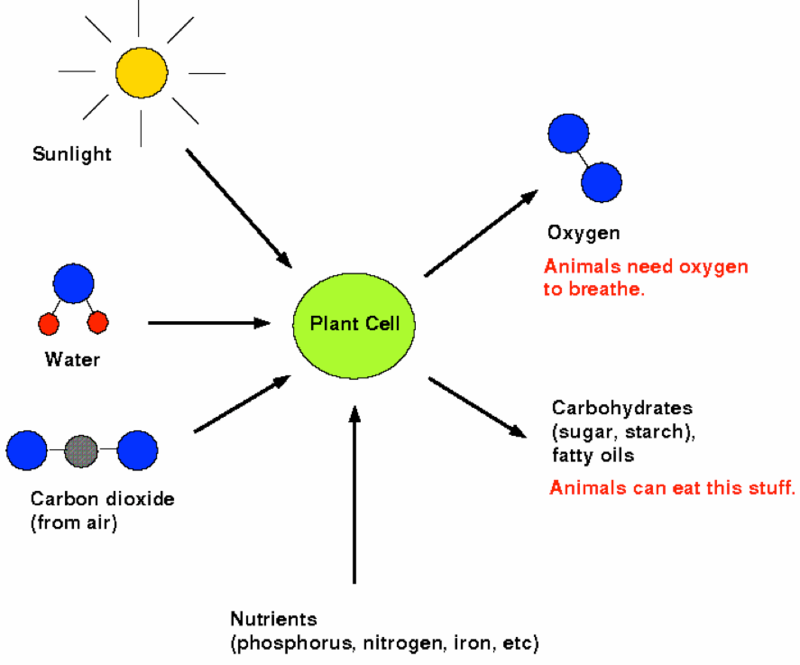 Oxygen is produced by green plants in a process called photosynthesis. The pigment chlorophyll absorbs the sun’s energy by transforming water and carbon dioxide into carbohydrates (caloric energy) with oxygen as an end product. Animals, including humans, then consume this energy and produce carbon dioxide and water as wastes, which plants absorb and convert back into oxygen. Every healthy cell, tissue, and function in our body is the result of oxygen. From our organs to our immune systems, our bodies have developed the ability to deliver and use oxygen in all its tissues. Brain cells are extremely vulnerable to changes in our oxygen supply and may start dying as early as five minutes after they are deprived of oxygen. This reflects its role as our most vital nutrient. Every cell in our body needs oxygen to function, repair, and rejuvenate. Our diet, lifestyle, and environment all play a role in the availability of oxygen. The pollution of our environment, use of industrial chemicals, poor food choices and lack of exercise all reduce the availability of oxygen for efficient energy production and health. These conditions are associated with immune depletion and the foundations of disease. When insufficient oxygen is available to our cells they turn to an emergency form of energy production called fermentation. Anaerobic respiration, best known in athletes, produces waste acids that upset healthy cell function. This occurs in all of us if insufficient oxygen is available for our needs. Otto Warburg won the Nobel Prize for Medicine in 1931 for proving that cancer cells are formed when healthy cells shift towards anaerobic respiration. In cancer cells, respiratory enzymes used in aerobic energy production die and are replaced by the fermentation of sugar. Decades later, researchers Dean Burn and Mark Woods at the National Cancer Institute also found that the speed of progression of cancer was related to its anaerobic fermentation. The cancers with the highest rates of fermentation were also the fast growing. The most recognized source of oxygen is fresh air. Clean, unpolluted air contains around 20% oxygen. Complete, rhythmic breathing delivers oxygen from our lungs into our bloodstream and cells for optimal metabolism. This also allows the lymphatic system to move more efficiently allowing for better removal of waste. Proper breathing can remove up to 70% of body toxins. Pure water is a mixture of oxygen and hydrogen. An optimal daily water intake provides significant oxygen to our cells for health. A healthy adult is 75% water so regularly drinking purified water is a major source of oxygen for our body. This is another way to flush the lymphatic system and facilitate the removal of waste. Raw vegetable foods are rich in oxygen by way of their water and chlorophyll contents. Animals, including humans, burn this oxygen in the processes of metabolism. Animal products, like meats and dairy, contain no residual oxygen for our benefit. Processing and cooking vegetable foods also depletes them of oxygen. Greens are an especially fine source of oxygen. Chlorophyll, the blood of plants, is almost identical to hemoglobin, which is the molecule that carries oxygen in our blood. 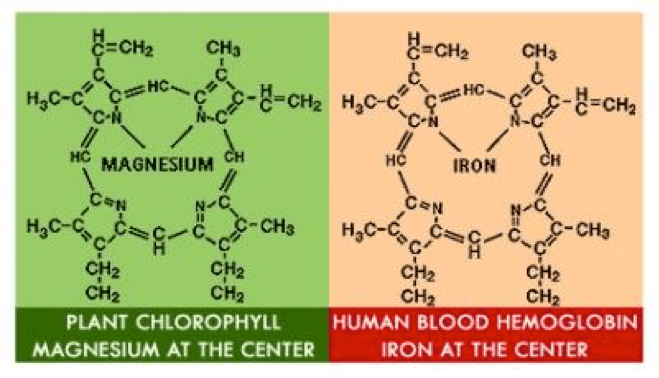 The primary difference is that chlorophyll carries magnesium and holds carbon dioxide while the iron of hemoglobin holds oxygen. 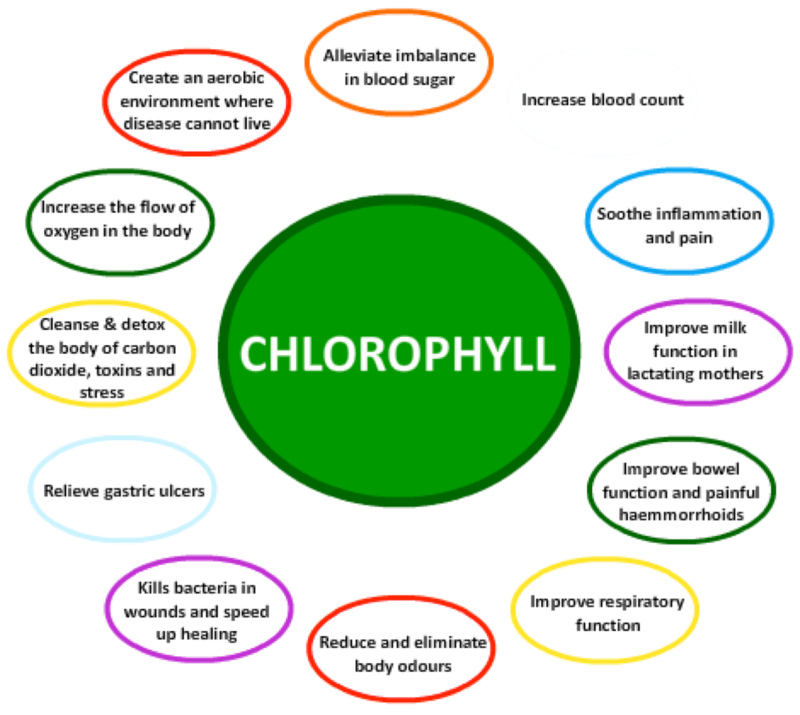 The transformation of chlorophyll to hemoglobin is a very energy efficient process and makes chlorophyll a fine means of enhancing oxygenation within our body. The most obvious method of increasing oxygen intake is through aerobic exercise. 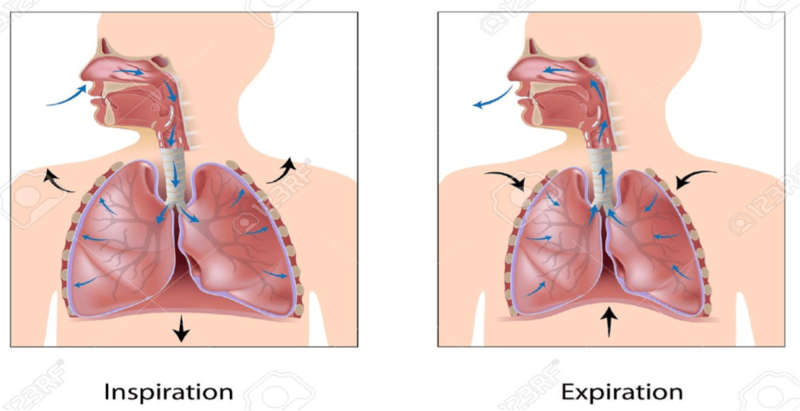 The greater demand for oxygen from our working muscles stimulates greater inhalation and enhances lung function enabling greater efficiency of oxygen utilization. Our quadriceps in our thighs have the ability to draw in the most oxygen so with limited time for working out exercises that activate these muscles will create the biggest increase in blood oxygen levels. Additionally, this type of exercise will stimulate the lymphatic system to move more efficiently as well. Therapies are available that enhance the concentration of oxygen to the body. IV ozone therapy and hydrogen peroxide increase the concentration at which oxygen is introduced to the body encouraging a higher delivery to our cells. Oxygen enhanced exercise, called Exercise With Oxygen Therapy or EWOT, also increases oxygen uptake throughout the body via nasal tubes or a mask. Healthy levels of tissue oxygenation boost immunity, enhance cellular detoxification and directly fight bacteria, other organisms, and cancer cells. The combination of these factors not only helps prevent disease but can also reverse it by establishing an environment in which these pathogens cannot survive. Chlorophyll is the molecule that absorbs sunlight and uses its energy to synthesize carbohydrates from CO2 and water. This process is known as photosynthesis and is the basis for sustaining the life process of all plants. It’s also what makes plants green. The green color of chlorophyll is secondary to its importance in nature as one of the most fundamentally useful chelates. It channels the energy of sunlight into chemical energy, converting it through the process of photosynthesis. 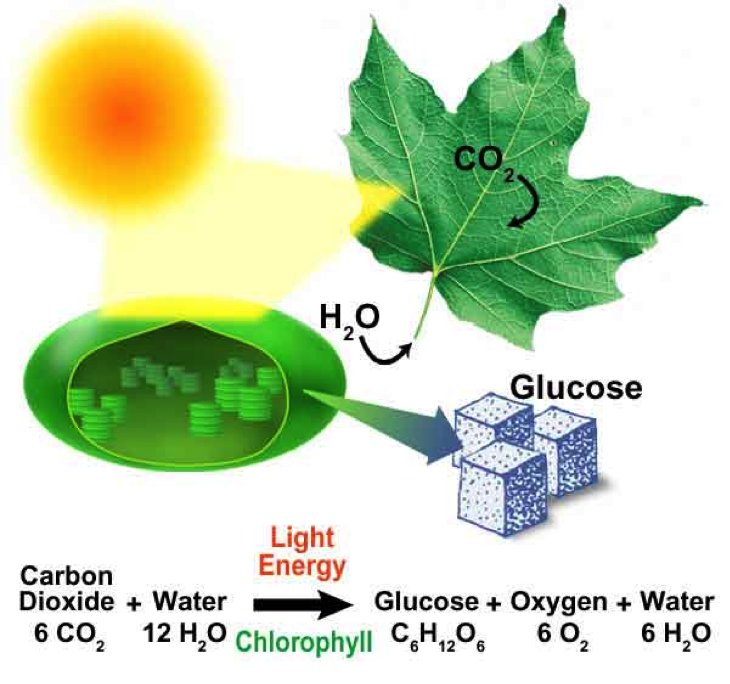 In photosynthesis, chlorophyll transforms carbon dioxide and water into carbohydrates and oxygen. This is the process that converts solar energy to a form that can be utilized by plants, and by the animals that eat them, to form the foundation of the food chain. The molecular structure is almost identical to hemoglobin except for the center atom. In hemoglobin this is iron, whereas in chlorophyll it is magnesium. This means that when ingested, chlorophyll can actually help to do the job of hemoglobin (hemoglobin is so vital to the health of our blood – in fact, blood is approximately 75% hemoglobin). It helps to rebuild and replenish our red blood cells, boosting our energy and increasing our wellbeing almost instantly. Eating/drinking liquid chlorophyll can increase the quality AND quantity of your red blood cells. Chlorophyll has the power to regenerate our bodies at the molecular and cellular level. Because it’s indisputable that GREEN FOODS are incredible for our health and all green foods contain an abundance of chlorophyll. 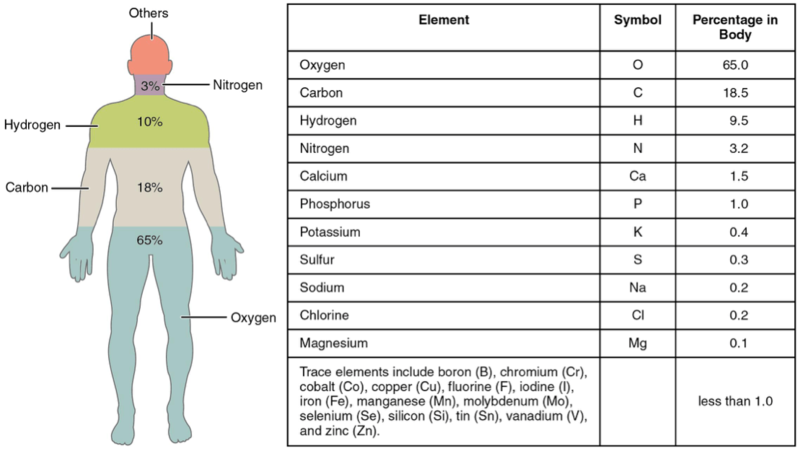 The human body requires constant amounts of oxygen in its blood for proper functioning. However, low oxygen levels, also called hypoxemia, may occur due to a variety of conditions including asthma, lung disease, and iron-deficiency anemia. Shortness of breath, anxiety, disorientation, headaches, high blood pressure, and bluish skin are the common symptoms of hypoxemia. Apart from oxygen therapy and blood transfusion, exercise and certain foods may help improve oxygen levels in the blood naturally. Iron-deficient anemia occurs when one’s diet is low in iron and leads to reduced levels of hemoglobin, the oxygen carrier in the blood. This can lead to hypoxemia. The University of Maryland Medical Center recommends iron-rich foods including meats, poultry, fish, legumes, green leafy vegetables, whole wheat breads, and iron-enriched pastas to treat iron-deficiency anemia, and thereby improve oxygen levels in the blood. Several animal studies, such as one published in June 2007 edition of the “Obesity,” have revealed that a high-fat diet can lead to insulin resistance and sleep apnea in rats. Sleep apnea and the associated rest are common risk factors for hypoxemia. Hence, eating a high-fiber, low-fat diet with high amounts of fruits and vegetables may help improve blood oxygen levels. An article published in “Cancer Active” states: an acidic environment in the blood can lead to reduced levels of oxygen and increase the risk of certain cancers. The intake of alkaline water, along with fruits and vegetables high in potassium and magnesium such as bananas, potatoes, tomatoes and green leafy vegetables, can help reduce acidity and treat hypoxemia. Fruits and vegetables are also rich sources of antioxidants, such as vitamin C and E, that protect the oxygen-carrying blood cells against the harmful effects of free radicals. According to a study published in the March 2010 edition of the “Hypertension,” a diet low in sodium can lead to increased oxygenation of the kidneys via the blood. The low-sodium diet aims to reduce the sodium intake to less than 2,000 mg per day and includes fresh fruits and vegetables, beans, peas, legumes, and whole grains. The Mediterranean diet can help maintain healthy lung function by halving the risk of lung disease, says an article published by Science Daily in May 2007. It can thus promote sufficient oxygenation of the blood and prevent hypoxemia. The Mediterranean diet is also high in fruits, vegetables, whole grains and nuts and low in refined sugars, meats and whole-fat dairy products.